When it comes to soy, so if you think the yellow grain. Few know, however, that black soya has the same nutritional qualities, besides presenting twice the antioxidant, preventing cell degeneration. These characteristics are maintained even after cooking, the study of the food engineer Diana Figueiredo de Rezende, Faculty of Pharmaceutical Sciences (FCF) of USP. The largest amount of flavonoids and phenolic compounds and anthocyanin in black soybeans are responsible for the different properties with respect to yellow. This is because these substances are responsible for preventing oxidation of molecules that can accelerate the process of cell death, or are antioxidants. To prove the relationship between phenolics, flavonoids and anthocyanins with oxidation, the survey indicated that, on average, black soya has twice this capacity. The cooking of both types generated a loss equal to total phenolic compounds, approximately 40%. Anthocyanins contains a pigment that goes from red to blue and, therefore, are mainly found in foods such shades. They belong to the group of flavonoids, compounds of plant origin is not produced by the human body. The antocioninas are the main differentiating factor between the two soybeans, as it is only found in black. Furthermore, Diana identified two types of the substance found in soy black: cyanidin-3-O-glucoside and peonidin-3-O-glucoside. The nutritional quality of the two varieties was also analyzed. Waste minerals, lipids, proteins and carbohydrates were measured in the two grains. In this regard, the study found equivalence of the percentage of these substances, or the same chemical composition. Given this, it ensures applicability may be a technology similar and possibly greater health benefits. To ensure that soil characteristics do not interfere in the results of the study were analyzed grains of the same region. It follows the precaution that all samples were from the same crop and to have the same growing conditions, said Diana. The research also sought to understand whether FCF was no difference in weight of 100 grains of each species and its compounds contents of fat, fatty acids. This is because soybean oil has important economic and commercial. None of these indicators changed from one type to another. 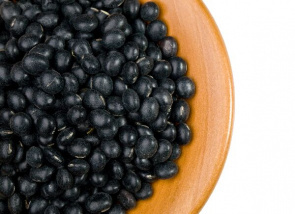 The engineer decided to research the topic, because according to her, there was relatively little research with black soybeans, compared to the numerous studies published on soy yellow. Probably due to the rarity of the market, the report found that the AUN black soya can cost three times the price of the common grain. Hence, the study may provide a new business niche for small producers. His dissertation Comparative study of physico-chemical and nutritional properties of soy black and yellow was guided by Professor Ursula Maria Lanfer Marquez.